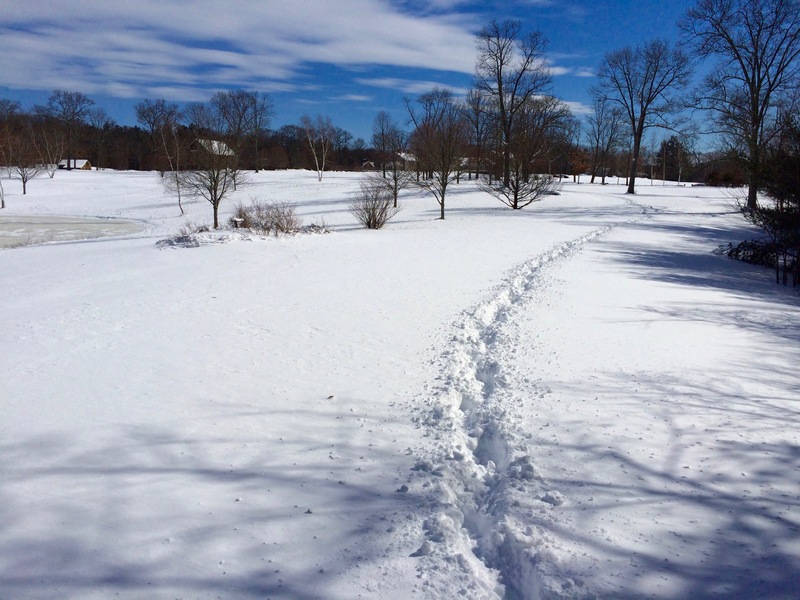 Looking out over the pristine snow on a sunny winter day. Where to start? I finally found my motivation. Today’s warmer temperatures and bright sun revealed that it was just in hibernation. 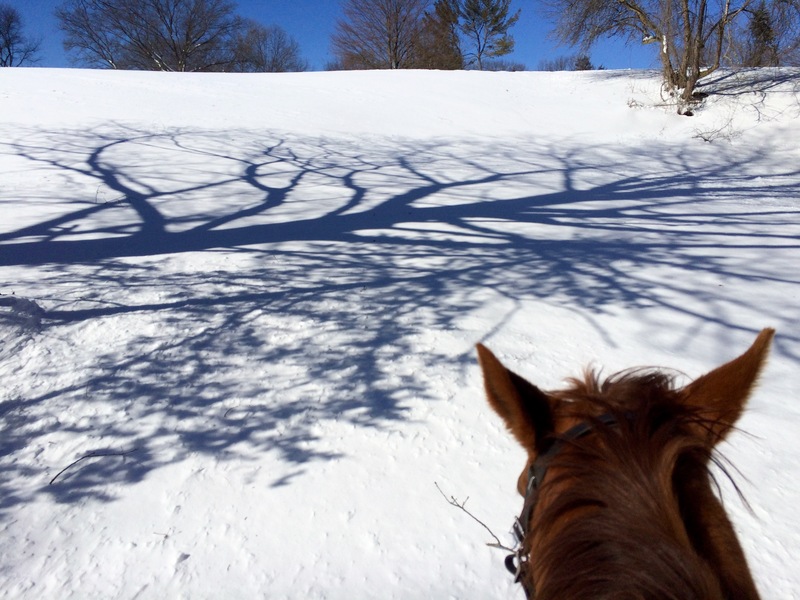 There was a wide expanse of untouched, pristine snow just waiting for hoof prints and I had two horses who were willing to oblige. The snow was deep but fluffy, there wasn’t a hint of wind, and the only sound was the soft swishing of hooves. Zeda and I had a good canter on the trails. It was like riding through a cloud! We are likely going to have only one perfect day as rain is forecast for tomorrow. I’m so glad I could take advantage of today. These are Zelda tracks. She left a wake of snow behind her. Freedom got a good work out in the snow, too. We did some hill work to build up his hind end. 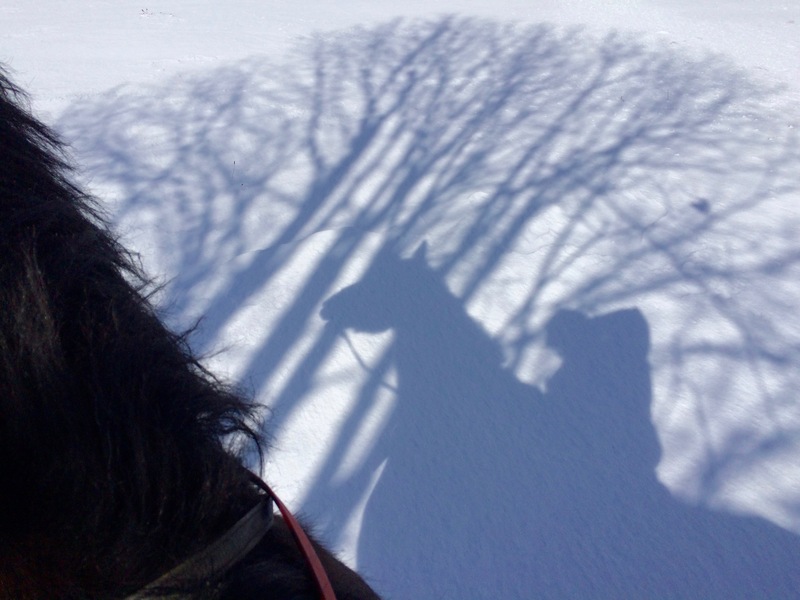 Riding in deep snow is like doing constant cavaletti! Wow! So cool! I have never ridden in snow like that. Being in blogger land, following so many people who have actual winters, I feel like that is something to add to my bucket list…canter through winter wonderland of snow! 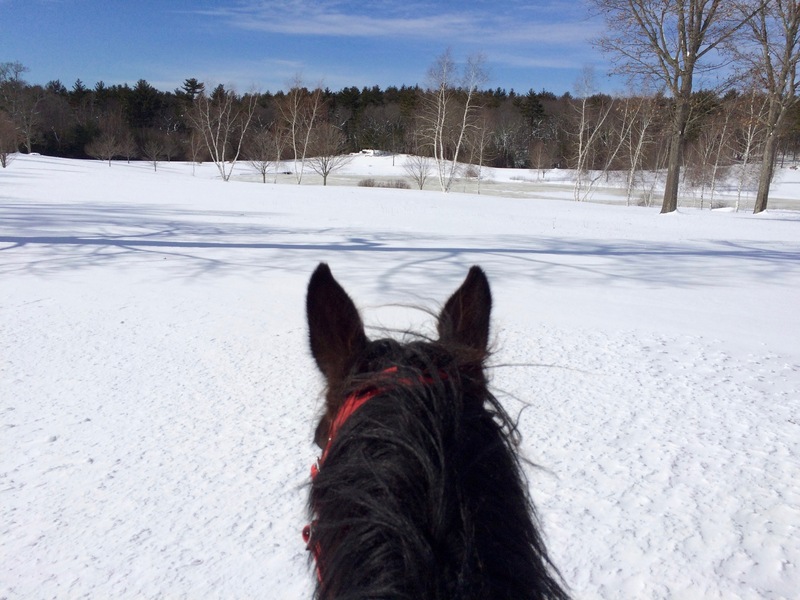 There is something magical about cantering through the snow. It’s unfortunate that we don’t get many days where the snow is soft (not crusty), the sun is shining, it’s not 8 degrees, and there’s no wind. You have to treasure the good ones!